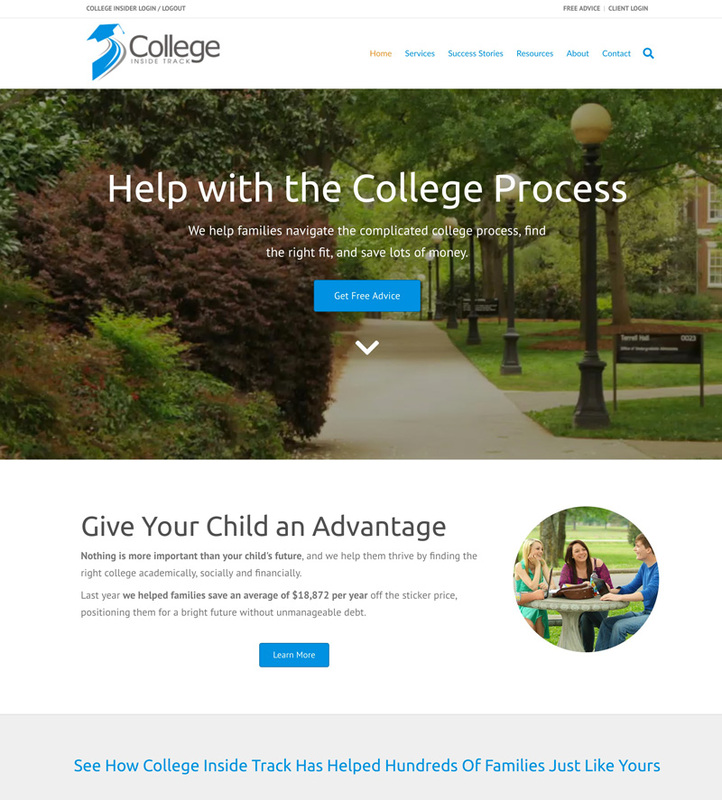 College Inside Track is a site focused on helping families choose the right college for a student and maximize their financial capabilities. Last year they helped families save an average of $18,872 per year off the sticker price, positioning them for a bright future without unmanageable debt. We built out the entire site with forms, resources, and more.